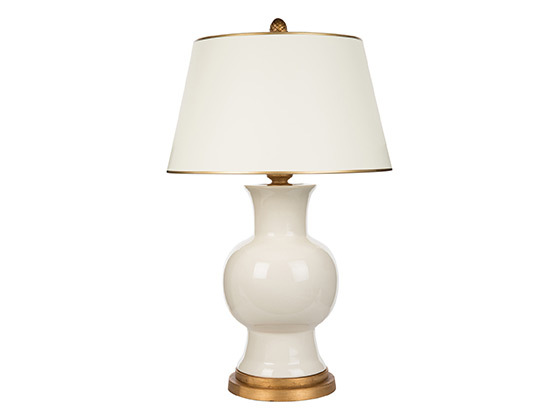 Glazed in soft cream pewter with gold leaf accents, this French-inspired ceramic fishtail lamp adds undeniable style to the scene. 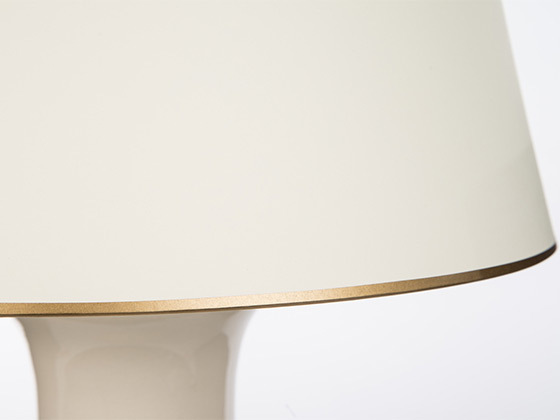 A hardback empire shade in cream-hued French parchment and gold trim complete this stunning design. Made in the USA.